Oleksandr Usyk can be a "serious threat" at heavyweight, if he moves up a division after his knockout win over Tony Bellew, says Sky Sports expert Carl Froch. The Ukrainian retained his WBC, IBF, WBA and WBO cruiserweight titles as he overcame a determined early effort from Bellew to force the stoppage with a big left hand in the eighth round at Manchester Arena. 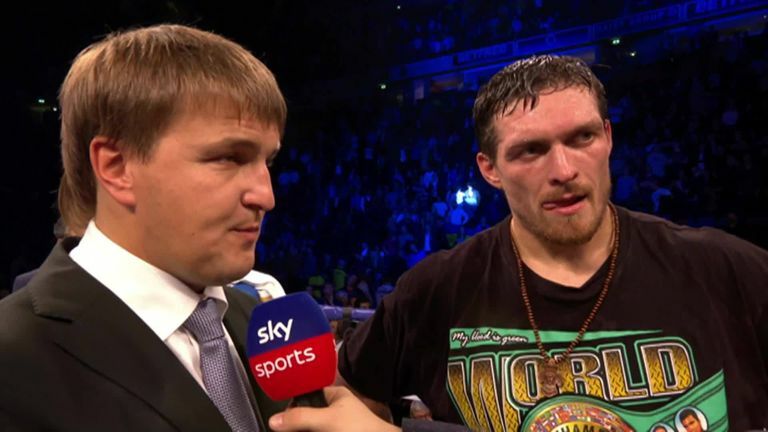 A step up to the top division could be next for Usyk, where he would challenge the likes of unified champion Anthony Joshua and WBC title-holder Deontay Wilder. Froch told Sky Sports Box Office: "He is a serious threat to the heavyweight division, you can say that. I would just like to say that Tony Bellew really put up a top performance, probably one of the career-best performances, but he came up against a fantastic Usyk tonight. "What a way to end his career. What a shame, but he's got a lot to be proud of, and we've really found someone in Oleksandr Usyk that is very, very special. We need to acknowledge that." 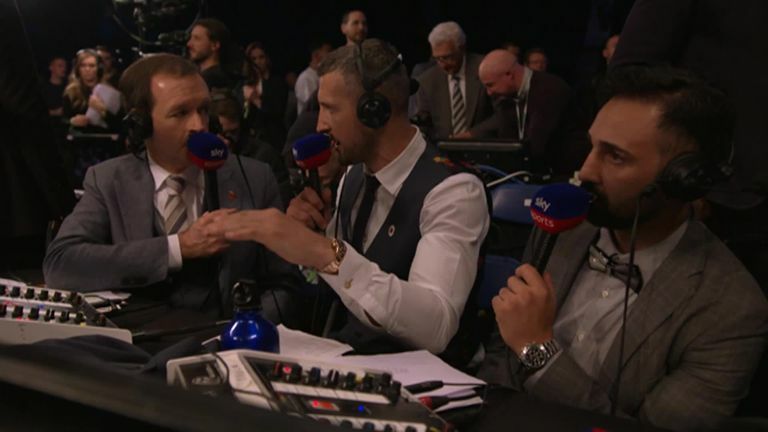 A London 2012 gold medallist, Usyk has also been a dominant force as a professional, and Froch feels he can compete with the biggest fighters in boxing. "I think because of the sheer size of him, and the fact he boxed at heavyweight as an amateur, I think he can make that transition very well, but it has to be a steady one," said Froch. "He needs to choose his enemies wisely early on, and then we know he's looking for big AJ, that may be too ambitious. "You can see he's a big unit. He's backed up by a lot of muscle. He can go up comfortably and he's tall enough as well."